As 2011 begins drawing to a close, we’re already thinking about 2012 – particularly our first show, Summer of the Seventeenth Doll, which begins on 12 January. 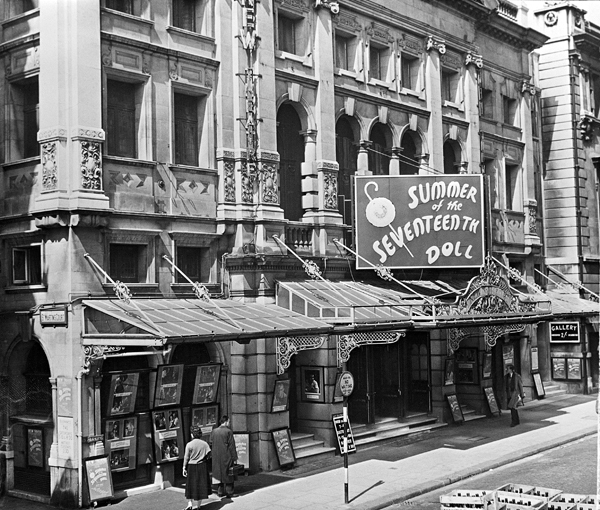 As the play that put Australian theatre on the world map; written by a Melbourne arts legend; originally directed by our first Artistic Director; and premiering here in Melbourne, The Doll has a special significance to so many of us. So naturally, to have it back here again feels like something of a homecoming, and we’re feeling a little nostalgic. We’ve been looking through the archives and tracing the play back to its roots, and we wanted to share a few treasures we’ve found. Ray submitted his application for literary copyright in 1956. The script he included had a brown cardboard cover with a hand-stitched spine. 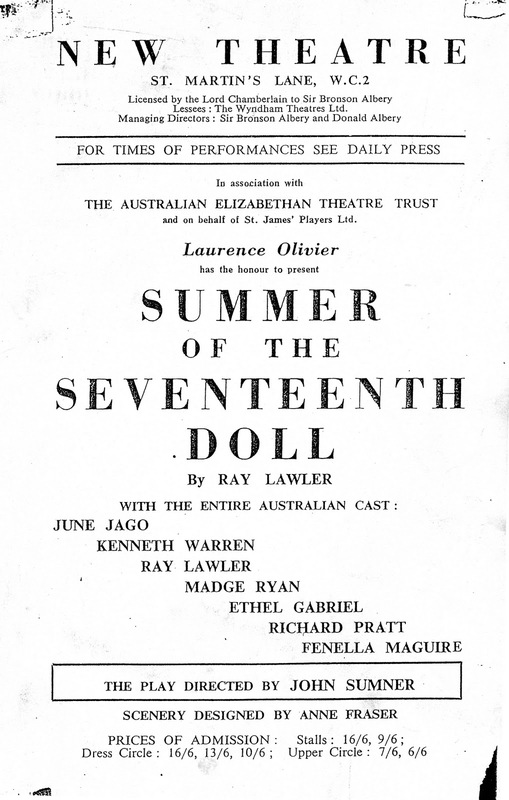 After a sucessful Australian tour, the production headed to England, and it premiered at New Theatre in London’s West End (now the Noel Coward Theatre) on 30 April, 1957. A copy of the poster for the Doll’s London season. The New Theatre (now the Noel Coward Theatre) on St Martin’s Lane, in London’s West End. 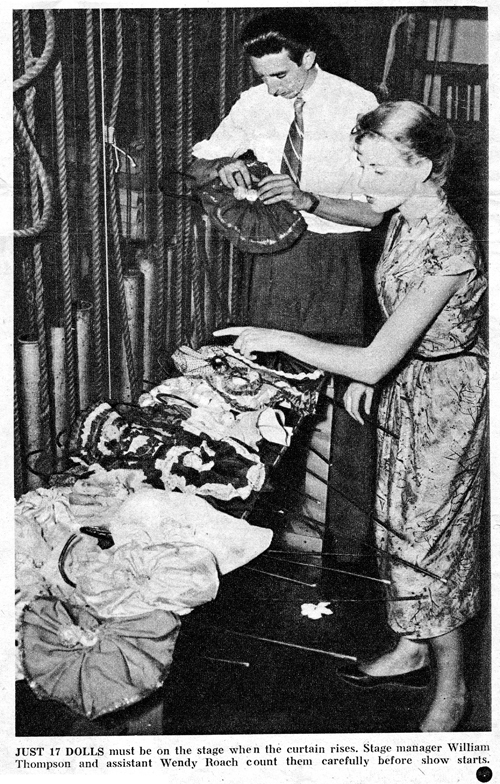 Following the play’s international success, musician William Robert George Mashford composed a song about it 1959. The National Archives choir, Archivally Sound, has recorded a version of it, which you can listen to online. It will be such a pleasure to welcome this Australian classic home to Melbourne, and to MTC again. Make sure you don’t miss it!